Spear Marketing Group has published an informative report detailing results of a survey designed to gauge the maturity of marketing automation deployments within the B2B community. The survey asked marketing operations managers and other B2B marketing executives to rank their current deployment of marketing automation software in 33 separate categories relating to either key software functionality or generally accepted best practice. Respondents were then assigned a grade based on how many of their responses aligned with those best practices. The survey covered topics such as email frequency, program design, reporting, landing pages, and data hygiene. Spear reported that on average, respondents answered only 56% of the questions “correctly” and thus scored a “C” grade. At first blush, that sounds like most marketing automation users have a long way to go before realizing anywhere close to full value from their investment; however, in fairness, answers to individual questions in the survey tell a more complex story. In some notable areas, the average marketing automation user appears to be achieving real business value. In other categories, adherence to even fundamental best practices is relatively uncommon, even in areas that you’d otherwise assume to be a primary business case for marketing automation. Spear’s report includes detailed survey results, a list of key findings, along with commentary and analysis. It serves as a handy benchmark for companies that might be looking to gauge how their use of marketing automation measures up against their peers. The report is available as a free download from the Spear Website. This entry was posted in B2B Marketing, Lead Management, Lead Nurturing, Marketing Automation, Uncategorized and tagged B2B Marketing, eloqua, hubspot, Marketing Automation, marketing automation best practices, marketing automation strategy, marketing automation success, marketo, pardot on April 8, 2015 by Howard Sewell. 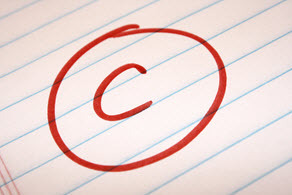 The “C” is a generous grade. “Almost 3/4’s indicate that most of their email campaigns are still one-off” — my guess (because these responses are self-reported/ unverified) is that the number is actually much higher. Closer to 90%. And the bulk of automated email they are sending are just auto-responders. Why, if nearly all of your email marketing is ‘batch & blast’, do you need Marketing Automation software? You’ve got to give it to the software companies — they’ve got smart business people spending a LOT of money on something they don’t need. One of my very first Marketing Automation consulting projects (5-years ago) was to help a client migrate from Eloqua (a very powerful Marketing Automation system that they didn’t begin to need or use) to ExactTarget — a highly effective eMail tool with a lot of nice features that they could use. They cut costs by more than 50% overnight — and I believe they’re still using ExactTarget (5-years later). I’m looking forward to the day (maybe 5-years from now) when marketing departments are well staffed with people who are strategic marketers — AND who also possess the technical “chops” that will allow them to truly leverage cutting edge technology in their marketing plan. It’s a great time to be in this business — things are about to get so much better. I agree with you that, if all you’re doing is batch-and-blast email campaigns, you don’t really need marketing automation software. But I would also argue that the company doing nothing but batch-and-blast emails is a) investing untold hours in manual campaigns that could instead be automated, and b) failing to deliver email communication in the timely, relevant, and personalized way that might be possible if that same company had marketing automation technology in place. Deciding to settle for old-school email marketing isn’t the same as “not needing” the technology that would enable you to do better. At least not the way I see it. Furthermore, I don’t blame the marketing automation companies for selling the promise of their technology. That promise is real – if, as you suggest, you have the technical chops – and there are enough companies succeeding with the software to prove it. This report would also suggest, however, that many more are falling short. Is that the software’s problem, or is it simply marketers’ failure to leverage the true value of their shiny new object?